The highly anticipated largest-ever Wawa opened Friday to a massive celebration and an eager audience. 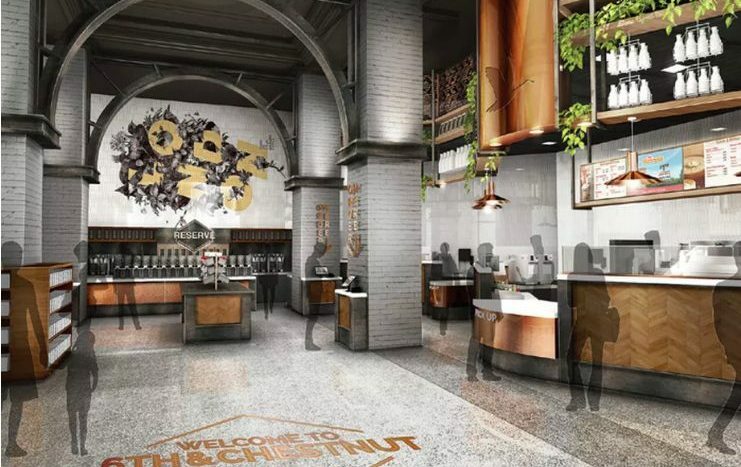 The opening of the 11,500-square-foot space in the historic Public Ledger building at 6th and Chestnut brings the biggest store in the east coast franchise, along with a ton of new elements not found at other locations, according to a statement from Wawa. 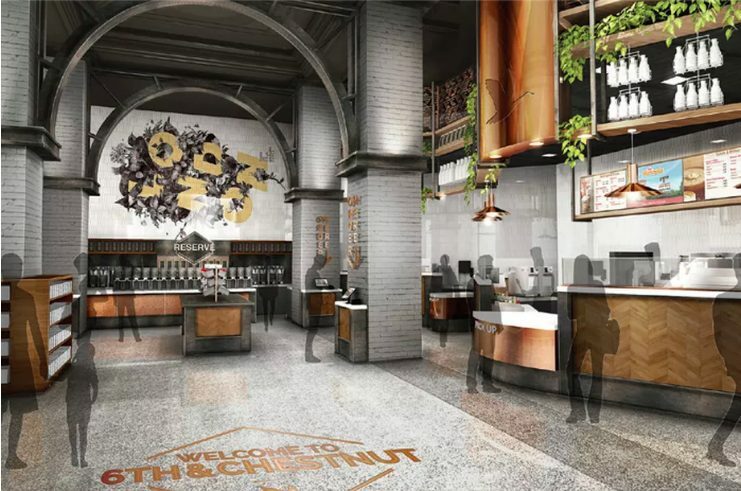 “This one-of-a-kind store will feature elements completely unique to this location that bring to life the Wawa brand in all-new ways, while celebrating all of the “Philly Firsts”,” they said. That includes two murals inside the space that celebrate Philly; a living “greenery wall”; digital screens and free wifi; and seating zones that look out over Old City (Independence Mall is across the street). As for the actual design of the space, Wawa says they tried to mix industrial and art deco styles, bringing copper and vaulted ceilings into the store. The result is a contemporary space that tries to weave in the beauty of the historic location. The Public Ledger Building was designed in 1923 by Horace Trumbauer, an architect known for designing grand buildings and estates in and around the city. and has been listed on the Philadelphia Register of Historic Places. Featured rendering by David A. Levy & Associates. Original article written by Anna Merriman for Curbed Philly.